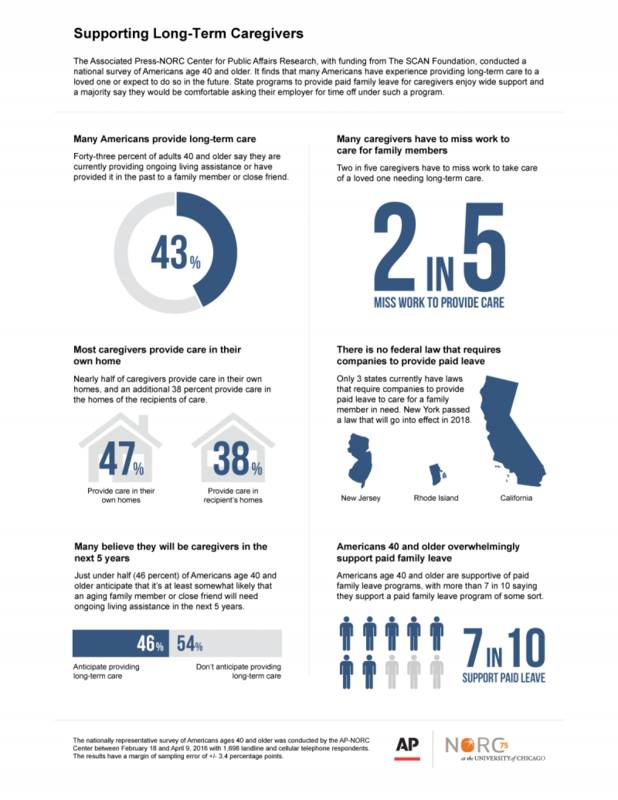 National survey of Americans age 40 and older regarding long term care of a loved one. A bill to make that leave paid was introduced in the Senate last year but has gone nowhere in Congress. Among the presidential candidates, both Hillary Clinton and Bernie Sanders have voiced support for paid family leave. Donald Trump hasn’t offered a clear opinion. “I support (paid family leave) because I feel that in the U.S., we need to realize that employees, or the workers, can’t really do the best job possible if you are worrying about a family member,” said Mary Jo Morelli, of the Detroit area. Morelli, 52, said she expects that someday she’ll need time off to care for her aging mother and in-laws who are now in their 80s. Paid family leave works like insurance and is funded via mandatory contributions from workers’ paychecks. In New York, about $1 a week will be deducted. Workers could receive a portion of their pay for up to eight weeks in the program’s first year. That will increase to 12 weeks, double what other states offer. “Workers are, and for good reason, nervous about retaliation from their employer,” said Ruth Milkman a sociology professor at the CUNY Graduate Center who has studied paid family leave. 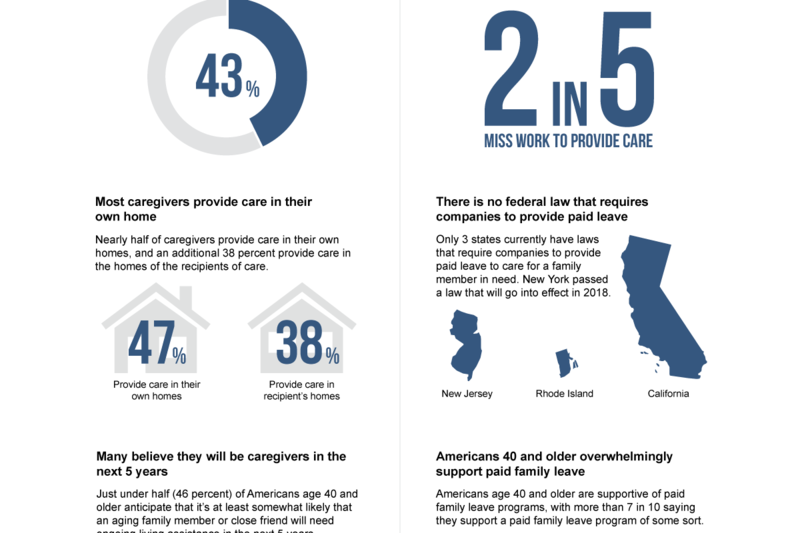 In New York, advocates are working with state officials to educate people, especially low-income residents and minorities, about paid family leave. “Passing the law was step one,” said Dina Bakst, co-founder of A Better Balance: The Work and Family Legal Center. As the only unmarried sibling in his family, Tim Mitchell, 51, of Portales, New Mexico, cared on-and-off for his grandmother and, later, his mother. He said he’d support any help for caregivers, who, like him, struggle financially later in life. “What I did was a heck of a sacrifice,” he said. EDITOR’S NOTE _ Alejandra Cancino is studying health care and long-term care issues as part of a fellowship at the AP-NORC Center for Public Affairs Research, which joins NORC’s independent research and AP journalism. The fellowship is funded by The SCAN Foundation, an independent nonprofit that supports research and other initiatives on aging and health care. This AP story was originally released on May 20, 2016. It is estimated that approximately one-half the world’s population receives news and information from The Associated Press each day, which suggests the reach and penetration of each of these stories.